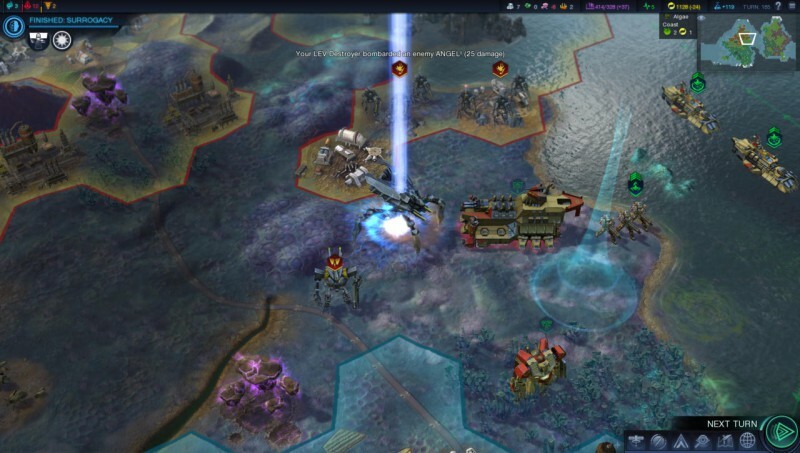 The new Humble Bundle features Firaxis games, and it’s perhaps one of the best it’s ever offered. You can pay as little as $1 to get games like XCOM: Enemy Unknown and Sid Meier’s Pirates, beat the average (currently $9.77) to get Civilization IV: Complete Edition, Civilization V, and XCOM: Enemy Unknown, or pay $15 to get everything, including Civilization: Beyond Earth. In all, you’re getting nine games, plus a bunch of expansion packs and DLC. Destiny: The Taken King – Legendary Edition is $32 for PS4 and Xbox One at Newegg using promo code EMCEFGE23. Toys R Us is giving away free gift cards with the purchase of select games (in-store only). These include Life is Strange’s limited edition ($5 gift card), Mario & Luigi: Paper Jam ($5), and the newly released Resident Evil: Origins Collection ($10). The Humble Store’s winter sale continues, offering Ark: Survival Evolved for $18, Starbound for $10, a build-you-own bundle for Daedalic games (Deponia, Blackguards, Anna’s Quest, and more), Invisible Inc. for $10, Rocket League for $14, and more. Square Enix is giving away Omikron: The Nomad Soul, the game that David Bowie appeared in, for free. Just use the coupon code omikron during checkout from the Square Enix online store. Somewhat similar to Best Buy’s Gamers Club Unlocked program, Amazon Prime members can now get 20 percent off all physical game preorders, with that discount lasting until two weeks after launch. If you’re a Prime member with any existing preorders, the price should have already updated automatically. Newegg is throwing in a free copy of Uncharted: The Nathan Drake Collection with the Call of Duty: Black Ops III PS4 bundle. Preorder Street Fighter V for PS4 from Dell and get a $15 gift card (just add it to your cart to see it). Note that you’ll have to be a Dell Advantage member, which is a free membership service. A digital copy of Star Wars Battlefront is $38 from Newegg using promo code EMCEFFN89. PS4 controllers are $40 at Newegg using promo code EMCEFFN88. Check out all of this week’s deals on the PlayStation Store here, and all of the PlayStation Plus member-only deals here. January’s free PlayStation Plus games are now available and include Grim Fandango Remastered and the newly released Hardware: Rivals. Get a 12-month EA Access membership for $25 at Newegg using promo code EMCEFFN92. Purchase an Xbox One at Best Buy and you can get 40 percent off on three months of Xbox Live Gold (bringing it to $15) and save $10 on a controller. This week’s Deals With Gold discounts are now available and include Killer Instinct season 2 content for $10-$20, Roundabout for $7.50, and Sniper Elite 3: Ultra Edition for $20. January’s Games With Gold are now available and include Killer Instinct: Season One – Ultra Edition and Zheros. The latest Humble Weekly Bundle features FMV games and has one day left. You can get four games for any price, or get all of them plus Roundabout and Her Story for $5 or more. You can save 20 percent at Green Man Gaming using the voucher 20PERC-WTHGMG-201620. Jade Empire: Special Edition is Origin’s latest free On the House game. Nintendo is selling the Super Smash Bros. 3DS XL systems (red/blue) for $175 on its online store, and also has some refurbished XL systems for as little as $125. Take note that none of these are the New 3DS XL model. Nintendo’s online store is offering refurbished 2DSes for $60. January’s free PlayStation Plus games are now available and include Grim Fandango Remastered and Nihilumbra. Newegg has the PlayStation Gold Wireless headset for $59 with promo code EMCEFFN95.